SPECIAL EVENT SECURITY CONSULTANT – Protection Management, LLC. Do you need help in designing your security operations plan using the security industry’s best practices in a range of subjects (e.g. staffing plans, credentialing, communications, crowd flows, risk mitigation, public safety coordination, budget accountability, site design, VIP protection, etc.)? Do you want a security expert who is Board Certified in Security Management, and has years of law enforcement experience? Are you an event planner looking for a security expert to evaluate and coordinate all of the potential security risks? If you answered yes to any of the questions, you have come to the right place. We conduct a security risk assessment on the event site. We coordinate with local law enforcement and security suppliers to ensure you’re getting the services and coverage you’re expecting for a safe and successful event. We provide detailed planning and on-site security coordination. We support our clients with specialized expert security advice. We work with law enforcement, fire, and EMS to insure that emergency routes remain open. We provide expert security consulting and operational management for major events. We work with you to screen security guard services. coordinating special event security other than providing security guards with little or no formal training. 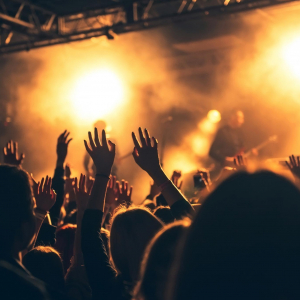 When an event is expecting a large crowd the event planners need to give serious consideration to what security risks are associated with such a gathering, and conduct a high-level security risk assessment of the location, event, and potential guests (planned or unplanned). 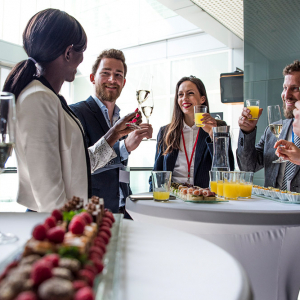 We will work with your event planners to coordinate all aspects of the event so that you and your team will not need to be consumed with safety and security issues, or that of crowd control, traffic, parking, and many other tasks that normally cause a lot of anxiety and stress for management teams. Our services will compliment your event, and you will have peace of mind that your guests or attendees are safe. Your “Special Event,” may include VIP visits, Board Meetings, Political Rally, Commencement Ceremonies, Labor Actions (Strikes/Picketing), or any other large public or private gatherings. We will sit down with your key personnel and go over the “what if” scenarios and ascertain what security measures that you may or may not need. 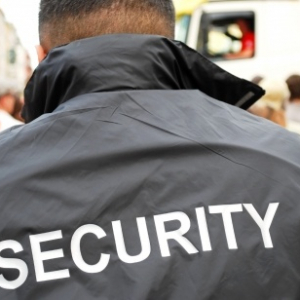 We can then assist with the selection process of a security guard service, if warranted, and establish the proper security presence and response needed. Protection Management will be your advocate in the planning and actual event, providing the coordination of all activities associated with the security of your guests, employees, visitors, and property. We will interact with guests and our clients to ensure that everyone has an enjoyable and successful event that is safe and secure. We will interact with police, fire and medical personnel as your liaison. Our expertise in security and crowd control measures insures that we will be that vital service which is necessary to successful event preparation. Underestimating security issues can result in increased liability and can become a public relations disaster. Our commitment to our clients is that we will create the safest environment possible for your event. We have earned a reputation for excellence and we promise you the same. Our clients know they can depend on us to be proactive and highly professional.